Get ready for a blast from the past. Today we’re talking Jumping Jacks! We’re all familiar with them – just think back to when you were 12 in PT class at school. But are we familiar with their awesome benefits? Can the Jumping Jack exist outside of child’s play? You’d be surprised! Let’s start with the benefits! What Muscles do Jumping Jacks Work? Are Jumping Jacks bad for my knees? Can I do Jumping Jacks if I suffer from hypertension/ high blood pressure? Are Jumping Jacks good for burning belly fat? Can I do Jumping Jacks if I am pregnant? There’s nothing more convenient than an exercise that can be done anytime, anywhere, with no equipment. Goodbye excuses! All you need to perform the Jumping Jack is your body – perfect for home gyms, outdoor workouts, or a quick energy boost next to your desk at work. And that goes for all versions of this exercise! Hoorah! The fact that this exercise works your whole body must feature on ‘The Benefits of Jumping Jacks List’! Due to the high energy nature and full body movement required to perform Jumping Jacks, your muscles are targeted from head to toe, especially the most important muscle of all – your heart! They are great for toning your body all over and have the added benefit of increasing your cardiovascular fitness at the same time! Bonus! Read more about cardiovascular fitness here and why it is so important. Due to the high intensity nature of Jumping Jacks, the level of aerobic activity required to perform them is significant. It only takes a few of them to get your heart racing! An elevated heart rate is your first step to burning calories. A prolonged elevated heart rate, the second step! Jumping Jacks can, therefore, be done on their own, or scattered throughout your workout to keep your overall heart rate high throughout and invite maximum calorie burn. Jumping Jacks cover a wide range of motion. 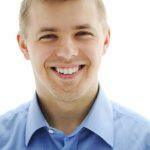 They require your body to invert and evert, to extend and contract, throughout the movement. Because of this, one of the significant benefits is the mobility work they provide. Doing Jumping Jacks lubricates some of your major joints like your shoulders and hips by making them move around within their sockets. They also give most of your muscles a fantastic dynamic stretch by requiring them to elongate and shorten, repetitively, through movement. The mobility and flexibility benefits of this exercise make them a perfect warm up movement as they prepare your body well for more, potentially loaded, exercises to come. If you didn’t know yet, endorphins are little clusters of happy hormone and Jumping Jacks provide them in leaps and bounds (excuse the pun). Endorphins are part of the body’s response to certain stimuli. Exercise, specifically that of a more cardiovascular nature, stimulates the central nervous system in such a way that endorphins are produced and released into the body. Endorphins can be referred to as the body’s natural pain killer, as their primary purpose is to reduce our perception of pain and control emotion. I don’t know about you, but I certainly need my emotions kept under control during certain workouts! Read more about the fascinating happy hormone and how it works here. One of the often-overlooked benefits of Jumping Jacks is the way in which they demand a certain level of coordination and motor skill to be able to perform them well. They require you to move certain parts of your body simultaneously and move between different positions, quickly. As we all know too well, practice makes perfect! So, if you feel like you could be doing better in the coordination department – start throwing some into your weekly agenda. One of the most awesome benefits of Jumping Jacks there is – the variations! There are lots of different versions to keep you on your toes, keep you progressing …and maintain your interest. The standard Jumping Jack is a great beginner exercise but there are versions that even a seasoned fitness pro would find a challenge. Keep reading to find out how to do them! In short, all of them! Jumping Jacks aren’t joking when they call themselves a full body exercise! From the most basic version to each variation, they work your body from head to toe. They specifically target the calves, glutes, abdominal muscles, lats and deltoids, to name a few! There are horizontal versions of Jumping Jacks (not for the faint-hearted) which place more load on your upper body, specifically your chest. All you need to know now is how to do them! It has been covered in this article that there are a variety of Jumping Jacks that can be done, ranging from easy to …death. And now it’s time to learn how to do them. Below you will find some of these different variations, starting from the most basic to the most advanced. I have also included some tips on how to do them effectively. The most basic of all Jumping Jacks, the gentle Step Jack. 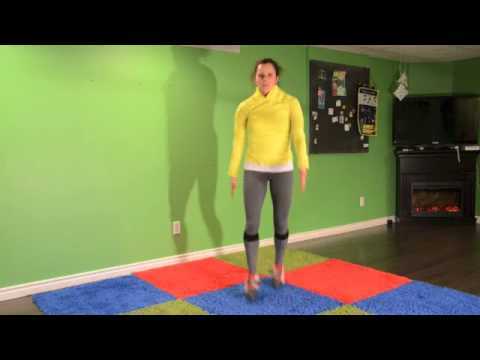 This version is perfect for anybody who hasn’t done much exercise before, or someone who may have an injury that prevents them from doing the standard Jumping Jack, for instance, bad knees or ankles. The main difference between this version and other versions, is its reduced impact. Effectively you step into the movement, rather than jumping into the movement, hence the name! You also only move one leg at a time – so, slightly less coordination required. To perform the Step Jack, start in a standing position with your legs together and arms by your side. From here, simultaneously step one leg out wide, whilst lifting your arms overhead, then return to starting position. That’s one rep. The next rep will consist of the same movement, but with the other leg. 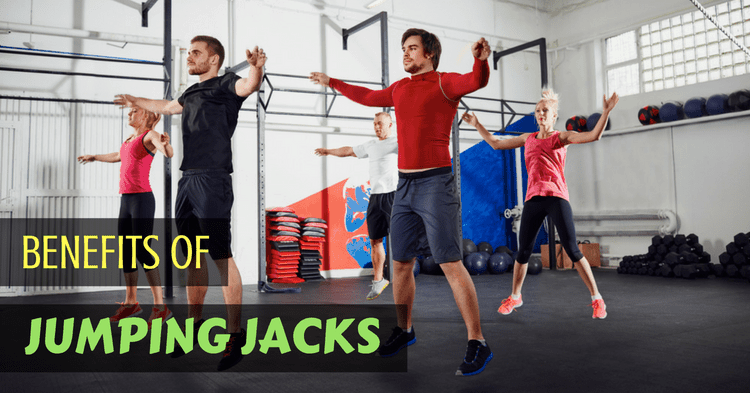 The standard Jumping Jack is a great starting place for beginners, or for those looking for a warm up exercise that prepares them effectively for their workout. Performing it is relatively easy in terms of what is required, but of course, coordination is key! To perform this version, start in a standing position with your legs together and arms by your side. From here, jump your legs out wide and raise your arms above your head as if becoming a human star, then jump back into starting position. That’s one rep! 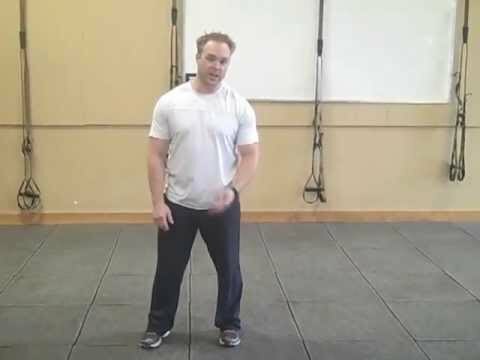 One thing that is often not mentioned when addressing how to correctly perform a Jumping Jack, is the importance of reducing impact by being “soft” on your knees. As the jumping motion creates impact as it is, we want to reduce this by keeping a soft bend in our knees at all time. I.e. no locking out at the joint. Other things to consider when reducing impact during this exercise are going into dorsiflexion through the ankles upon landing and keeping your core “on” to protect your body from spinal impact. As the name suggests, the Cross Jack is like a standard Jumping Jack but with a bit of criss-cross action to it! This one is a level up from the standard version. It’s still relatively easy to do, so don’t be afraid to give it a go. To perform the Cross Jack you need to begin in the same position as the standard Jumping Jack. Instead of jumping your legs in and out, you will jump one leg behind/one leg in front, alternating from left leg to right leg with each rep. Similarly, you will cross your arms over and under one another in front of you with each jump, rather than simply raising them above your head. Be sure to keep your arms extended (soft bend in your elbows) and to land in way your knees and ankles will thank you for. My personal favorite on the dance floor, the Split Jack. This one really does feel awesome to do. Endorphin mania …and a deep sense of freedom. This one is simple to do, but requires a greater level of coordination, as now we’re talking opposites! Start standing up with your legs together and arms by your side and from here, jump your legs back and forth, with the corresponding opposite arm. Think mechanical running man. And as far as dance moves go – I’m happy to share! The Low Jack is a level up from the standard Jumping Jack, for sure. It requires a level of mobility and control that the Step Jack, standard Jumping Jack, Cross Jack and Split Jack do not. To be on the safe side, you should be able to do all the other versions well and without pain before attempting the Low Jacks. This version doesn’t require the use of your arms as such, but enough of your legs that you’ll be happy to leave out your arms! The Low Jack offers more resistance as you’re loading more of your body weight on your glutes and quads, by staying significantly bent at the knees, throughout. Therefore, you need to keep your weight centered in your heels during the landings to shift the load off your knees, and onto your glutes (as in a squat). To perform the Low Jack, start with your feet together, hands clasped in front of you and a 45* bend in the knees. From here, jump your legs in and out, whilst maintaining the bend in your knees. The Plank Jack looks easy at first glance; however, it requires a solid amount of core strength to be able to perform it correctly, without compromising your lower back. Don’t mistake the Plank Jack for a beginner’s exercise. It isn’t one! This is the first version that we see done in a horizontal position. Because of this, your upper body will come into play a lot more. Your arms don’t move in Plank Jack, but they do support your body weight. To perform the Plank Jack correctly, start in tabletop Plank position (on your hands rather than your forearms), with your legs together. From here, keeping your core engaged, jump your legs out wide and back together. Remember, your lumbar spine is designed for creating stability, not mobility. It is important you reduce flexion through your lower back during this exercise to avoid injury. The Plyo X Jack is the standard Jumping Jack on steroids. The word ‘Plyo’ refers to Plyometric Training which you can read more about here. Think standard jumping jack, with quadruple the power! This version is not ideal for beginners but would be a great one to try out if you’re looking for a bit more of a challenge. Due to the explosive nature of the Plyo X Jack, it’s a great version for building strength and power. The technique is much the same, but the jump requires maximum effort. For this reason, you would complete fewer reps of this version than other versions. To perform the Plyo X Jack start with your legs together, arms by your side, and knees bent at 45*. From here, generating maximum power with your legs and swinging your arms up for momentum, jump your legs out wide and aim to get as much height as possible. Your body should resemble a sharp and suspended ‘X’ at the top of the movement. Who loves burpees? Not me! But you know what they say, “Pick the exercises you don’t love – they’re the ones you need to be doing”. I didn’t leave this one last for nothing. Not for beginners. Make the Burpee Jack the one you ultimately build up to doing. This version of the combines a Burpee, a Plank, a Plank Jack and a standard Jumping Jack … and a clap of the hands, for extra measure. You heard me! This is not a warm-up exercise, but rather an exercise used in HIIT workouts to maximize calorie burn and increase your heart rate in the shortest amount of time. To perform the Burpee Jack (get ready for this), start by dropping down onto your hands and then jump your feet back, followed by out wide, back in, and then jump your feet forward to your hands. From here, stand up and keep your legs together, do an explosive jump upwards, clapping your hands above your head. That, my friends, is just one rep! And that’s why the Burpee Jack is the monster of all Jumping Jacks! To make sure I’ve covered ALL the bases, here are some FAQ’s with regards to the benefits of Jumping Jacks and how to do them. If you feel like you haven’t had all your questions about this exercise answered after reading this, drop us a comment in the comments section below with your question and I’ll get back to you! How many Jumping Jacks should I do? Typically, you would do a bunch of them at a time, say 20 – 50, depending on your fitness level. You can either put them in amongst other exercises in a warm-up or circuit workout or do them in sets of 3 by themselves. The number of calories you burn during any specific activity is specific to you and your body’s make up. However, Jumping Jacks burn approximately as many calories as a jog, minute for minute, if not more. Jumping Jacks are not bad for your knees. However, doing them with poor form, i.e. locking out your knees on landing, can potentially create knee pain. To prevent injury, make sure you always keep a soft, natural bend in your knees, especially on landing. This as true for this exercise as it is for other exercises and movements. Any versions of Jumping Jacks that require you lifting your arms above your head should be avoided if you suffer from hypertension, as this movement will increase your blood pressure further. A solution would be to modify them to suit by just doing the lower body components of each version. A common misconception with fat loss is the idea that we can spot reduce, meaning target specific areas to lose fat in. When we reduce our body fat, we reduce it as an overall % with regards to our total body fat. However, Jumping Jacks do burn lots of calories – and that is key to reducing fat, including belly fat. So, yes, they are great for burning belly fat! As each woman and pregnancy is different, it’s best to consult your doctor for recommendations on suitable exercises. However, the general consensus is that high impact/jumping exercises should be avoided when pregnant. I would, therefore, recommend that you only attempt the Step Jack if you are pregnant. That brings us to an end! I hope you found this article informative and helpful, and that you feel confident in trying out these versions of the Jumping Jack. It’s evident that the benefits of Jumping Jacks are worth your while, so I encourage you to try them out. Remember to pace yourself. If you’re new to exercise, master the easier ones first. There’s plenty here for you to practice and being able to accomplish each new version is seriously indicative of your overall strength and fitness progress. Is Jumping Rope Better Than Running For Cardio?